Ruthless prince Adam Katsaros offers Belle a deal—he'll release her father if she becomes his mistress! Adam's gaze awakens a heated desire in Belle. Her innocent beauty might redeem his royal reputation—but can she tame the beast inside? The last person Calista wants to see is Lukas Kalanos, who stole her innocence and left her with much more than a broken heart. On discovering her child is theirs, Lukas's pleasurable plans of revenge become a hunger to make her his! 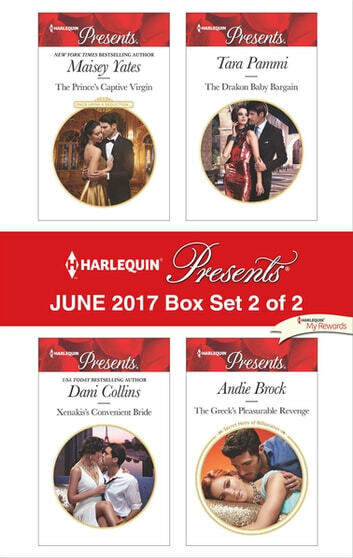 Be sure to collect Harlequin® Presents' June 2017 Box Set 1 of 2!